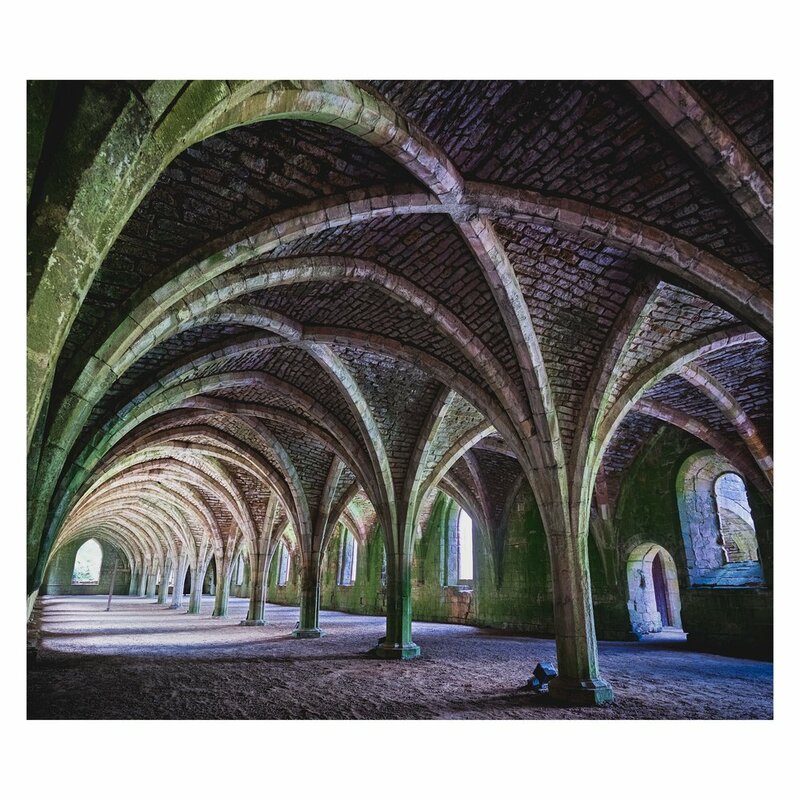 Beautiful architectural, historical, and travel photography of the ruins of Fountains Abbey and Bolton Abbey, Yorkshire, England, UK by Ian Cylkowski. 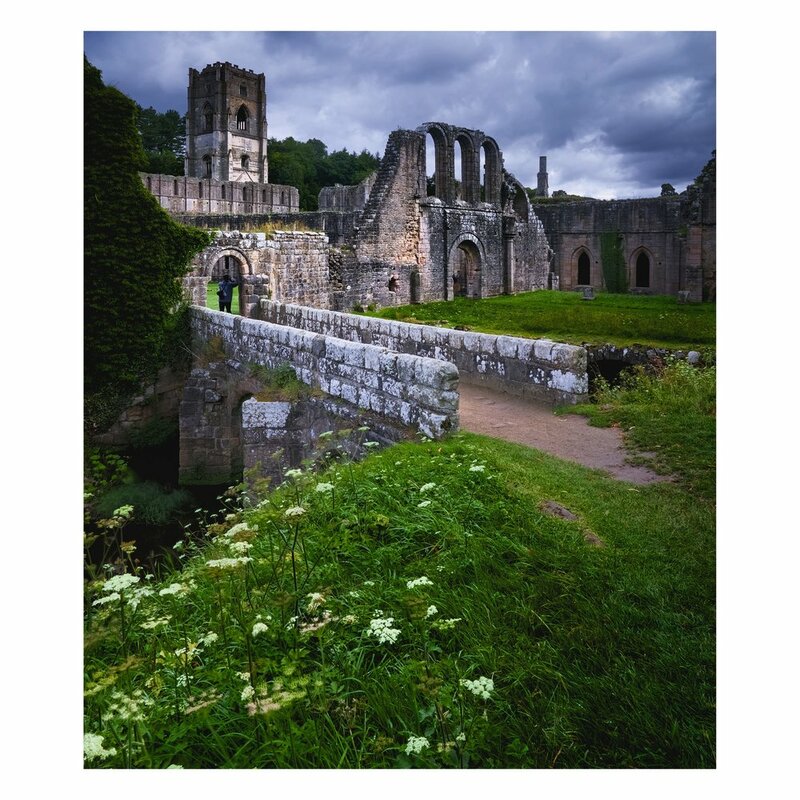 I love, as my mission states, showing off the natural beauty of Britain to the world … but I also like to brag about my country’s beautiful and hugely diverse architecture. Whether it’s modern masterpieces, craggy castles, or ancient antiquities, the UK is a treasure trove for architecture and history geeks. Like me. 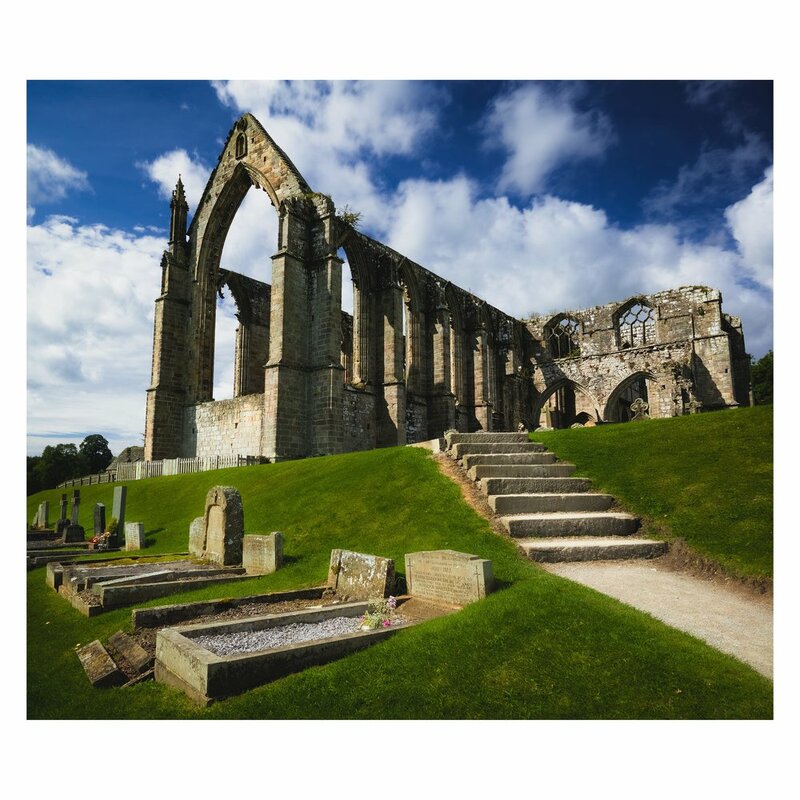 The UK has a lot of Christian ruins, especially former Abbeys. 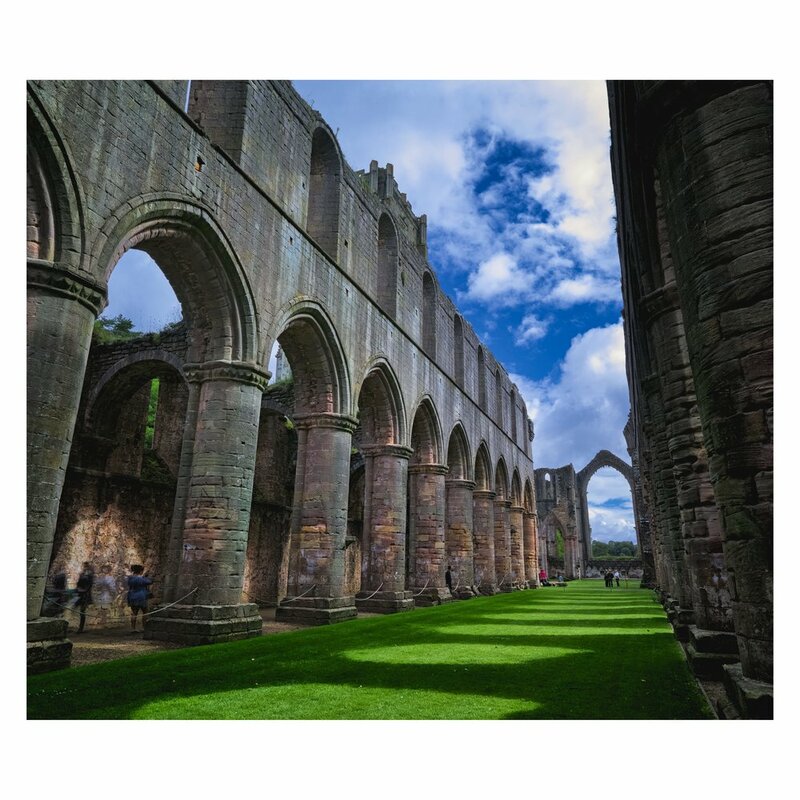 There is, of course, a historical reason for this: between 1536 and 1541, King Henry VIII disbanded monasteries, priories, convents and friaries in England, Wales, and Ireland, seizing their income and disposing their assets in what was called the Dissolution of the Monasteries. When shooting architecture, compositions tend to be more obvious compared to nature due to man’s tendency towards bold geometry and shapes. The skill, then, lies in finding the not-so-obvious-yet-pleasing. 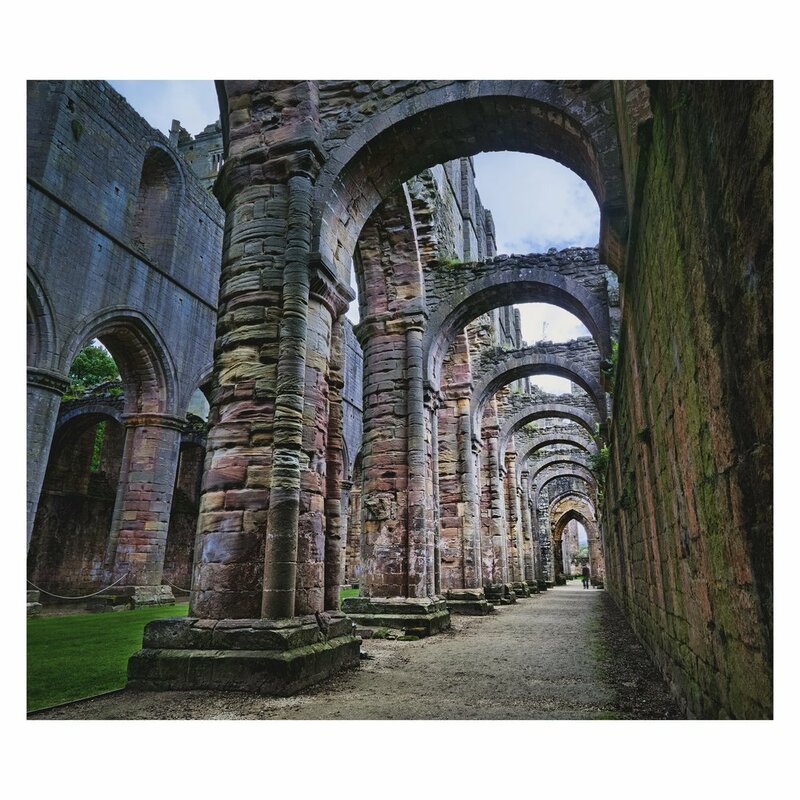 This body of work is made from two locations: Fountains Abbey near Ripon in North Yorkshire, and Bolton Abbey in the Yorkshire Dales. The first five images are from the former; the last two, the latter.